Merry Christmas from Dixie !! Will You Let Me Fall?? We all know something about creating, whether it be a meal, a flower garden, a painting, a book, or a ceramic vase. When we begin our creation of these things, they never appear as they will when they are finished. The meal is at first just a bunch of ingredients on the countertop. 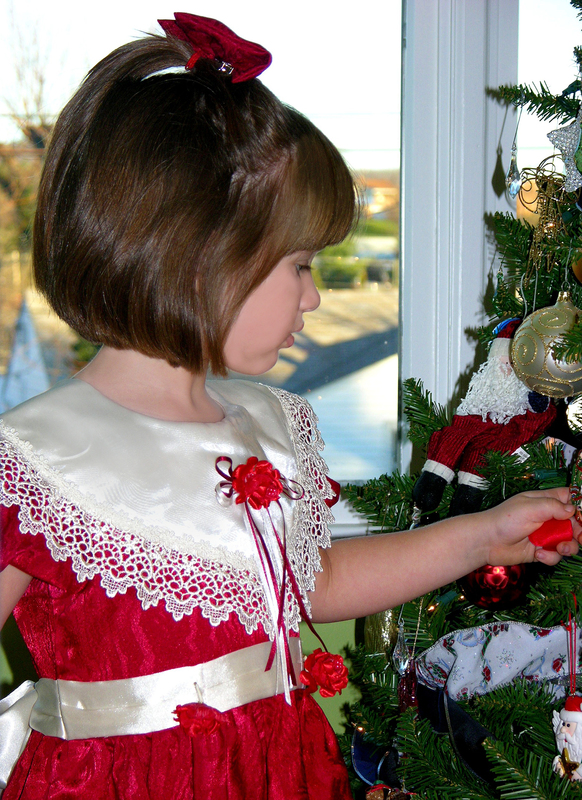 The flower garden begins as a patch of grass or weeds that we must dig up in order to plant. The painting starts off as a canvas without color. The book is only an idea. The vase, a lump of clay. We go through a lot of work putting these things into the form that we want them to be. We use our minds, our hearts, our hands–and it can be a struggle. But if we’re committed, we don’t give up. We keep our eyes on the end results, the beauty of our finished creation. The is the way God works, too. We begin as a thought in the mind of God. He brings us into being, and tends us, never separating from us—though we can, and often do, separate from Him. He molds us by His hand, through the joyful and sorrowful events of our lives, into the loving people we are meant to be. The word which came to Jeremiah from the Lord saying, “Arise and go down to the potter’s house, and there I will announce My words to you.” Then I went down to the potter’s house, and there he was, making something on the wheel. But the vessel that he was making of clay was spoiled in the hand of the potter; so he remade it into another vessel, as it pleased the potter to make. At times in our lives, the hands of God do not seem gentle, and we are in mental or physical pain–i.e we are suffering. And we don’t want to suffer–who does? But God does allow suffering. He doesn’t cause it, but He allows it to be used for some purpose in our life. Some purpose we may know nothing about at the time. 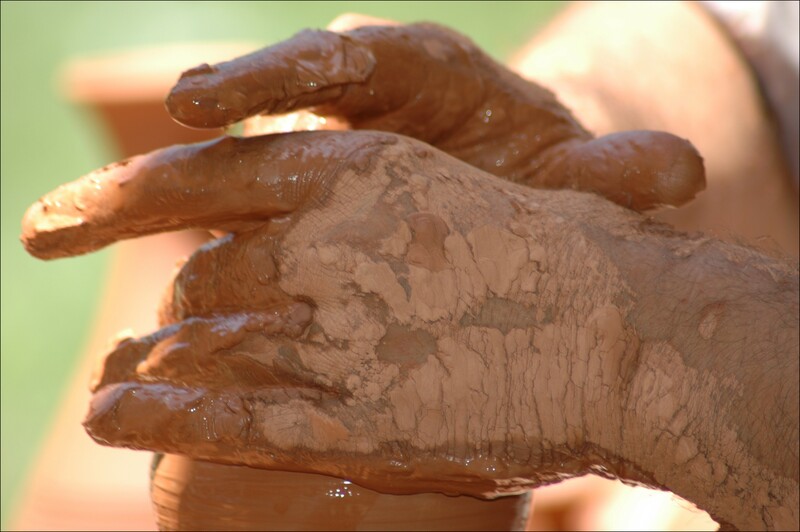 One way to get through painful times is to picture ourselves, as Jeremiah did, as clay in the hands of the potter. And, just as we do when we create something ourselves, to keep our thoughts on the end results. Deep within every human heart, there is the desire to be good. We all want to find and be our best selves, to go to bed each night at peace with who we are and how we acted that day. We want to be the kind of person we ourselves would want as a friend: trustworthy, dependable, fair. Yet often we fail — ourselves and others — in ways both small and significant. What can lift this burden and restore our humanity is confession, a word that I use often in my new book, “The Art of Confession.” In my own religious tradition, Catholicism, the word “Confession” has a very specific meaning. That is not what I am talking about here. Instead, I’d like you to consider confession with a small c. Religious confession is directed to a higher power, but it is first and foremost a conversation with ourselves. When we take an honest look at confession, we quickly see that it is a pillar not only of religious belief, but mental health. It demands something for which there is no substitute: that we be honest with ourselves. Confession strips away the veil that we often cast over our actions, realigning our souls with what is best and truest in our natures. I use the word “align,” because when we betray ourselves (some would define this as sinning), we fall out of alignment. Until we acknowledge — confess — our souls remain confused and fragmented. This kind of confession, which demands self-reflection and change, has little to do with the flood of confessional disclosures that characterize our age — on tell-all TV talk shows and social networking sites, even via an iPhone app for confession. In this time of Internet connectivity, amid the din of over-sharing, we mistake spasms of self-revelation for honesty. Our inner voice is not so easily found and cannot be parsed into 10-second bursts. That voice needs time to find the right words to say and the right place to say them. As Thomas Merton, a monk and mystic, wrote: We are at liberty to be real, or to be unreal. We may be true or false, the choice is ours. We may wear now one mask and now another, and never, if we so desire, appear with our own true face. But we cannot make these choices with impunity. Causes have effects, and if we lie to ourselves and to others, then we cannot expect to find truth and reality whenever we happen to want them. If we have chosen the way of falsity we must not be surprised that truth eludes us when we finally come to need it! The truth is that confession, as I seek to redefine it in my book and in this series, is wise and strong and necessary, unburdening both the soul and the psyche to live a forthright, productive, and fuller life. Confession is not only for those who have committed some great public or private “sin.” For most of us, our “little murders” — our duplicities, the daily hurts, neglects, and carelessness we inflict upon others and upon ourselves — need to be confronted and acknowledged. When confession becomes a practice, a daily reevaluation of one’s actions — an art — its power continues to grow, instilling a new sense of confidence, a vision of what life truly can be and hold. Something as simple as a short, nightly reflection, which I present in a later blog, can sort out the chaff from the wheat of the day just past, clearing the mind right then, and setting the tone for the days to come. Using confession to live honestly and consciously — the goal in this book — is an art to be learned and a skill to be practiced. It is neither an easy fix nor a heal-all. Our brash modern optimism assumes that all can be made well if we only will it to be so, but human behavior is complex, requiring deeper thought and actual, sometimes painful recalibration. Confession is, quite simply, an attitude. It is the cornerstone of the intentional life, not merely a clearing out of the debris, that which is bad or wrong in us, but a realignment of what is best in us, an intention to live a better life. When confession becomes a practice, a daily re-evaluation of one’s actions — an art — its power continues to grow, instilling a new sense of confidence, a vision of what life truly can be and hold. It is building upon something strong and sure and ultimately reliable. Confession is about truth, and as Thomas Merton advises us, what follows from an attitude of truth will not fail us.